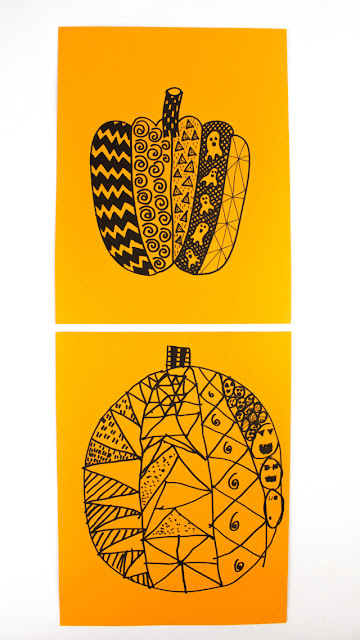 Easy Zentangle Pumpkins for Kids and Adults! Recently I saw this super gorgeous and easy to draw zentangle spiderweb idea.... and I was so inspired, that we drew our own versions- zentangle pumpkins! The process was so fun that I thought I'd sharing the idea here. Easy Zentangle Pumpkins- Great Kids and Adult art activity! 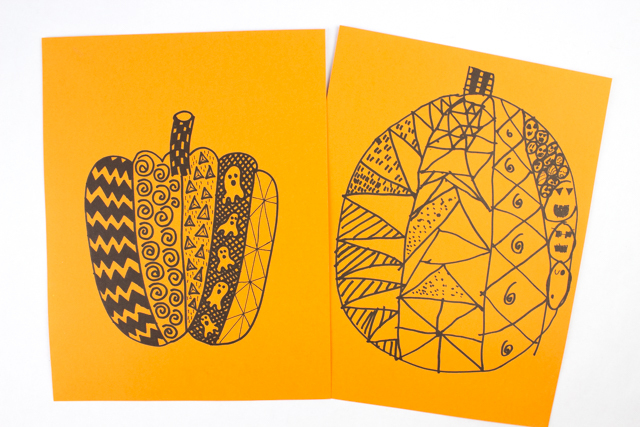 Let's Draw Some Zentangle Pumpkins! First, draw the outline of a pumpkin and the stems. 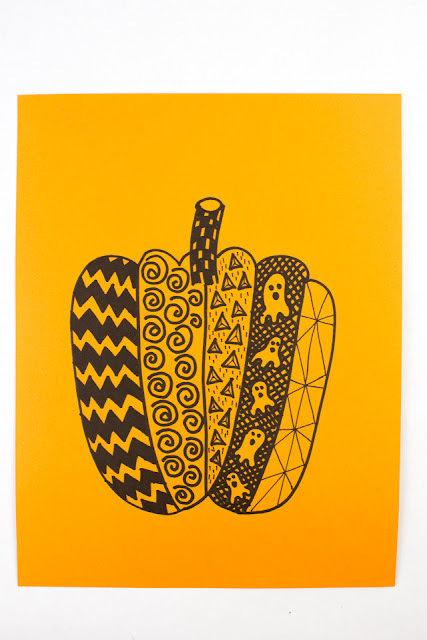 Then, segment the pumpkin into different sections. Then, fill each section in with any sort of designs. And my son hid some jack-o-lanterns in his. 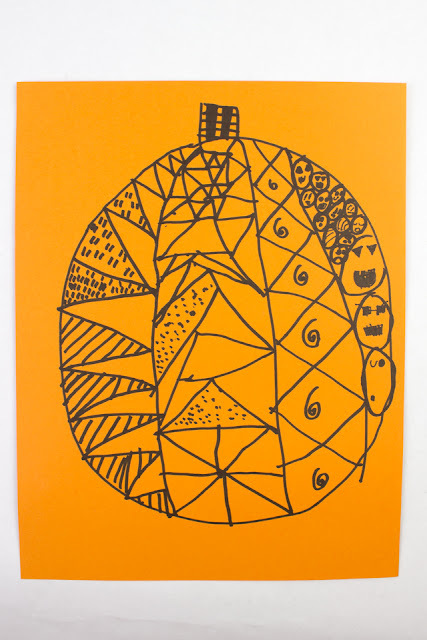 No matter what designs you come up with, this activity is sure to be a hit with the whole family. And if you're looking for more Halloween-themed drawing prompts, try out these below!